Graduating from Simon Fraser University in 1998 with a Bachelor of Business Administration in Marketing and Finance, I pursued further education in the investment industry. I have held the Chartered Financial Analyst (CFA) and Certified Financial Planner (CFP) designations since 2004. 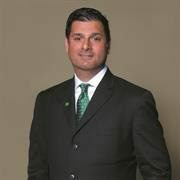 This has helped me further my career at TD Bank Group where I have been helping clients for over 20 years. I will work with you to determine the most important goals and work to help you achieve those goals together. I will take the time throughout our relationship to understand you and your family's changing needs, and adapt strategies to help meet those needs. I will continuously monitor your investment portfolio and seek out ways to help improve returns with solutions that may provide better returns for the level of risk that we are comfortable with. I will work with some of the best resources available to help ensure that you can benefit from a holistic approach to Wealth Management. Structure portfolios for you to assist you in meeting your individual goals based on the level of risk you are willing to take. Incorporate expected returns into a strategy that I believe will give you the best chance of success in meeting your goals. I utilize a combination of investment solutions and vehicles to build what I feel is the right portfolio for you.